Don't miss out on this once-in-a-lifetime gift package! 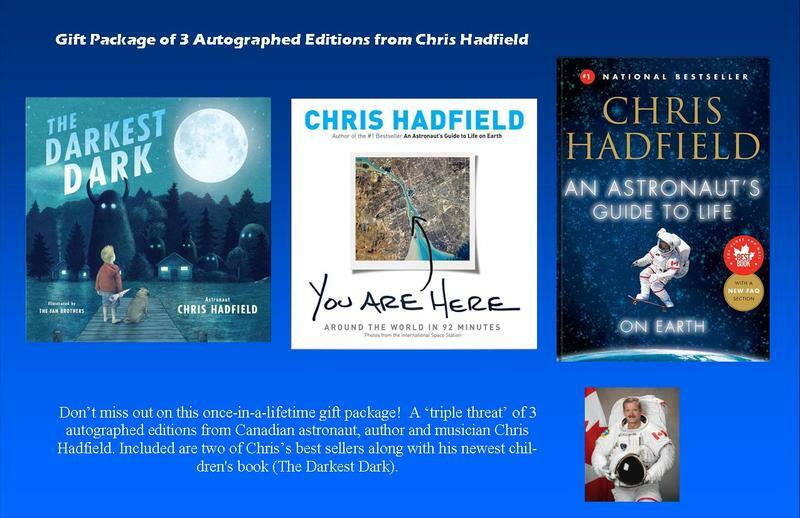 A ''triple threat'' of 3 autographed editions from Canadian astronaut, author and musician Chris Hadfield. Included are two of Chris's best sellers along with his newest children's book (The Darkest Dark).